In 2007, Margaret Wasielewski and her daughters traveled to Armenia tracing their Armenian heritage. Her exhibition in August 2014 at the Women’s Art Club and Cultural Center was the result of that exploration. Her pastel, oil and watercolor paintings bring Armenia’s landscape, people and places into focus through the artist’s eyes. Over 70 people attended the show, which ran from August 3-12, 2014. For the opening, Margaret prepared a sampling of her Armenian cooking, serving gatah, derevi sarma, lavosh, khavourmah, paklavah, cheoreg, and more! 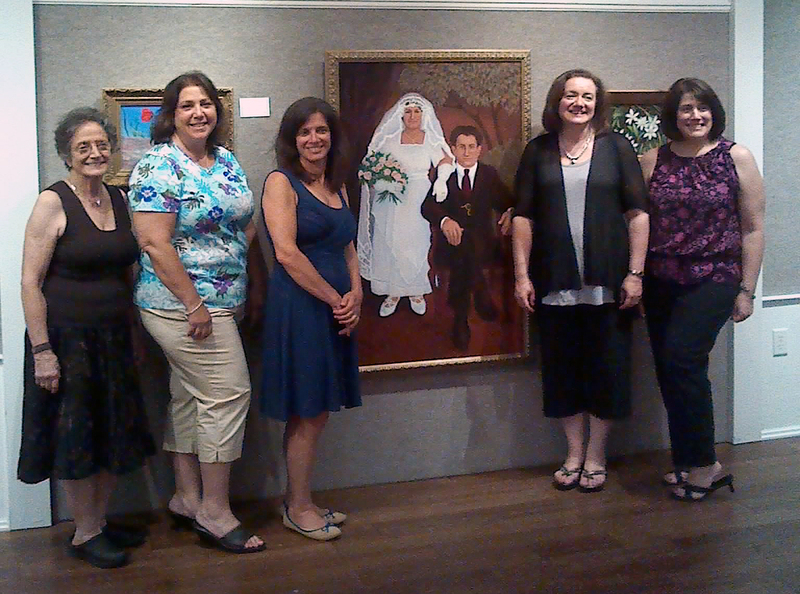 In the photo below, Margaret (left) poses with her niece and daughters in front of a wedding portrait of her parents that she painted from an original photograph. Marge earned a BFA at the University of Cincinnati and is an active member of the Woman’s Art Club of Cincinnati and the Cincinnati Art Club. Her work has been exhibited in New York, Detroit, Cincinnati, Florida, and Chicago. 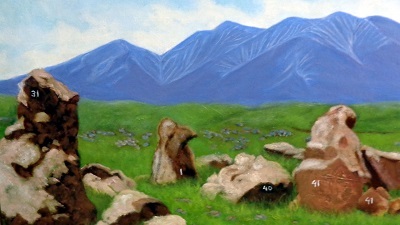 Below is a pastel of the Carahunge, also known as the Armenian stonehedge.